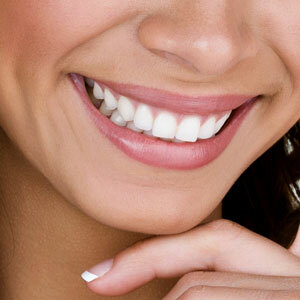 Can fast, comprehensive orthodontic treatment now be done in about 20 weeks? 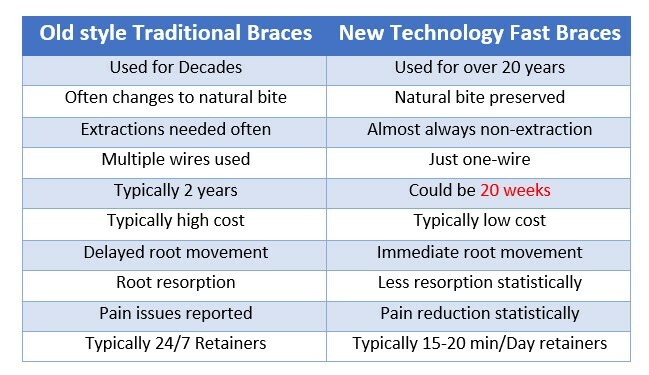 Fastbraces Technology is different by design, which allows for treatment time to be measured in weeks, not years. The old braces are usually square in shape and typically move the crown of the tooth in the first year and the root of the tooth towards its final position in the second year, thus requiring about two years of treatment. Fastbraces Technology gently allows for movement of the roots of the teeth towards their final position from the onset of treatment, thus treatment could be completed in just a matter of weeks for some patients. Fastbraces Technology typically works with just one orthodontic wire from start to finish whereas old braces usually require a series of wires and tightening procedures. Fastbraces Technology uses a special square super-elastic nickel-titanium wire which is activated by the special design of the braces. This dynamic wire helps upright the whole tooth using the natural temperative of the mouth in just one stage. University research has shown that Fastbraces Technology has low mean frictional forces, a clear-cut reduction in sliding friction and pain reduction with fitting front and back teeth together. Thousands of patients have been treated over the past 25 years. After treatment, the patient will start out by wearing the retainers every night during a normal 8-hour sleep period ( Teeth Pajamas) or just in the shower for 20 minutes per day (Tooth Shampoo), as per the doctors instructions. Within a year, and from then on, the patients may find that they will only need to wear their retainers for 15-20 minutes every day. Contact us today to talk about whether Fastbraces Technology is right for you or your child.